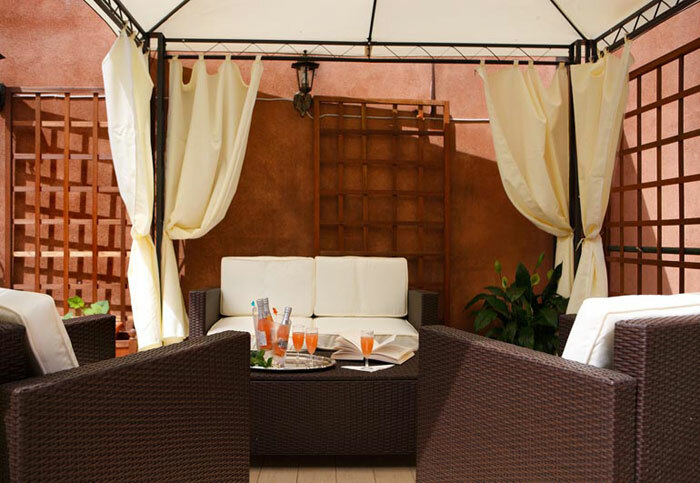 Welcoming and cosy, in typical Venetian style, the hospitality of Hotel Castello is defined by well-cared for settings and services, enriched by a whole series of comforts, which are among the best offered in any of Venice's three star hotels. 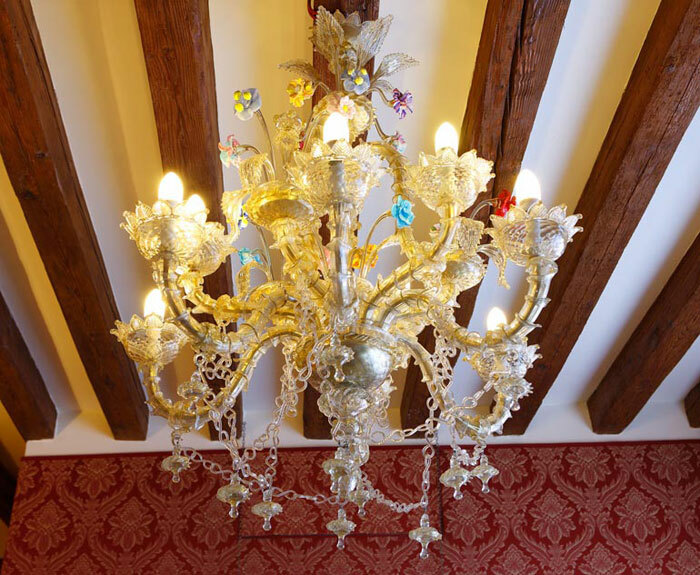 Common areas welcome clients amidst classic furnishings inspired by the Venetian tradition, wood panelling and damasks, enriched by Persian carpets and murano glass appliqués that create altogether charming atmospheres. 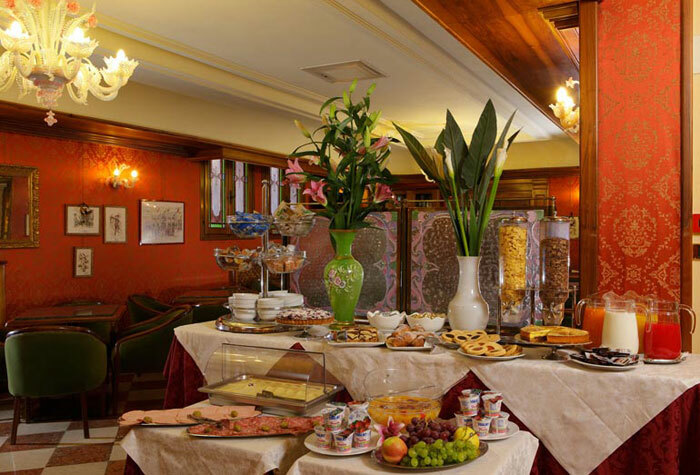 The hotel's pleasant lobby leads into the reception which remains open on a 24 hour basis and from here into the beautiful stairway dating back to the 1700's that leads to the rooms and to the large breakfast room where the bar which is reserved for hotel residents is also located. 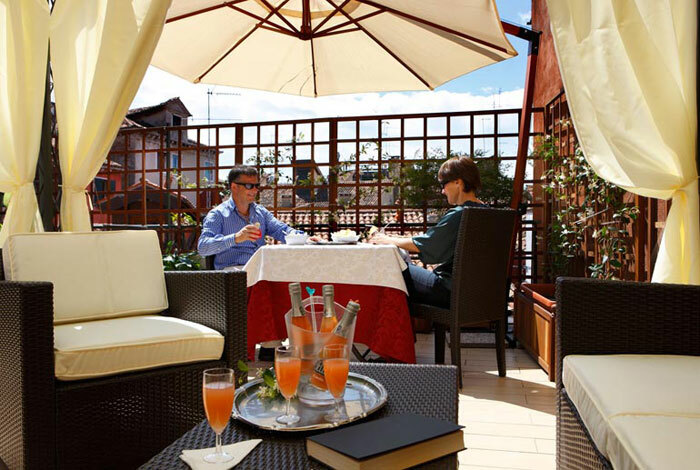 Hotel Castello's terrace offers guests a charming view of Venice's rooftops and St. Mark's bell tower, a special and unforgettable experience. 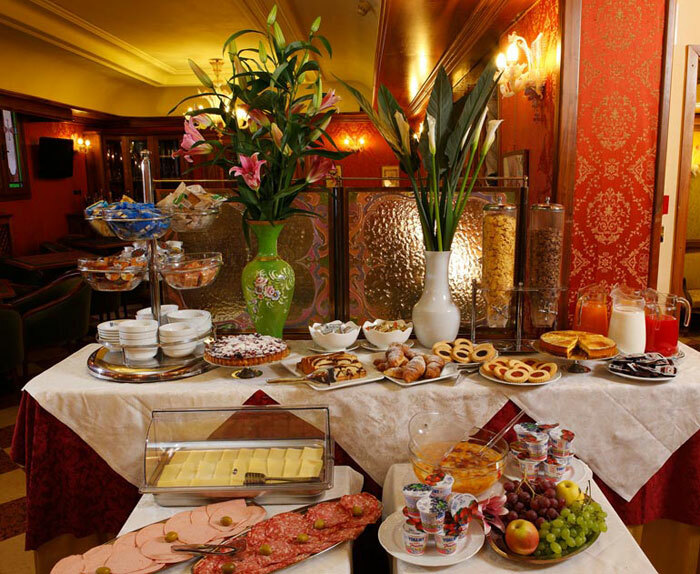 The continental breakfast which consists of bread, butter and jam, along with a selection of fruit juices and traditional Italian coffee, is proposed in a practical buffet. 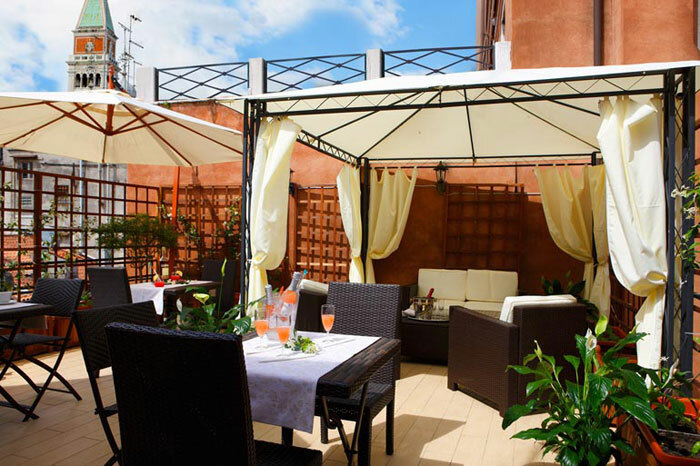 The reception staff of Hotel Castello will be more than willing to provide all kinds of tourist information on transport, events and exhibitions in the city and to reserve guided visits and excursions.